Riding on the grand success of its muscular and hottest-looking bikes of the FZ Series – FZ, FZ-S and Fazer, India Yamaha Motor has announced the launch of FZ Series Limited Edition bikes under the Midnight Special version. 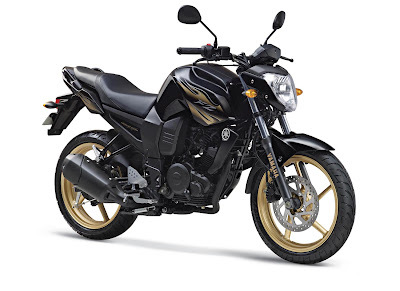 Since the launch of FZ series in 2008, these bikes have gained immense popularity amongst youngsters. The new FZ limited edition variants sport rich and smart graphics with the signature Yamaha looks making sure that the customer feels the pride of ownership. As the version name ‘Midnight Special’ suggests, the bikes will be available in an all black color concept with golden alloy wheel highlighting the exclusive looks of the machines. 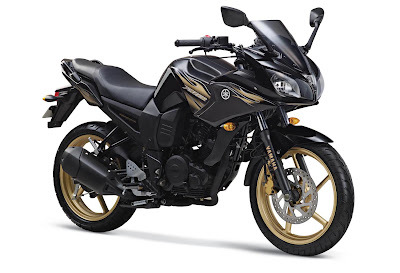 Yamaha will produce only 1,000 units of each of FZ, FZ-S & Fazer models and the aluminum plate on the fuel tank will bear the vehicle serial number (1-1000) to make the bike look as exclusive as the customer himself. The limited edition Fazer will also carry the signature of the Yamaha brand ambassador of India John Abraham crafted in golden letters on the front cowl of the bike. Speaking on the FZ Series Limited Edition bikes launch, Mr. Pankaj Dubey, National Business Head, India Yamaha Motor said, “Keeping in mind the festive season, we are launching Limited Edition FZ Series bikes and are confident that these too will be an instant hit among the biking enthusiasts. We have kept the essence of FZ series bikes intact while altering the aesthetics to exemplify the masculine feeling these tough machines are known for. The rich & sporty graphics will take the macho image to its next level.” FZ series bikes are designed & engineered with the potential for active and even aggressive enjoyment of around-town street-riding and styling that brings pride of ownership. The strategically use of the sporty graphics and vibrancy of colors on these bikes have been done keeping in mind the end user and is customized exclusively to cater to his needs. The target demographic is 18-25 year old male who is brand conscious, stylish & confident and has an active mindset & inclination towards good things in life. The limited edition Fazer, FZ-S & FZ16 models will be available at ex-showroom prices (Delhi) of Rs. 74,500 /-, Rs. 69,500/- and Rs. 67,500 /- respectively.